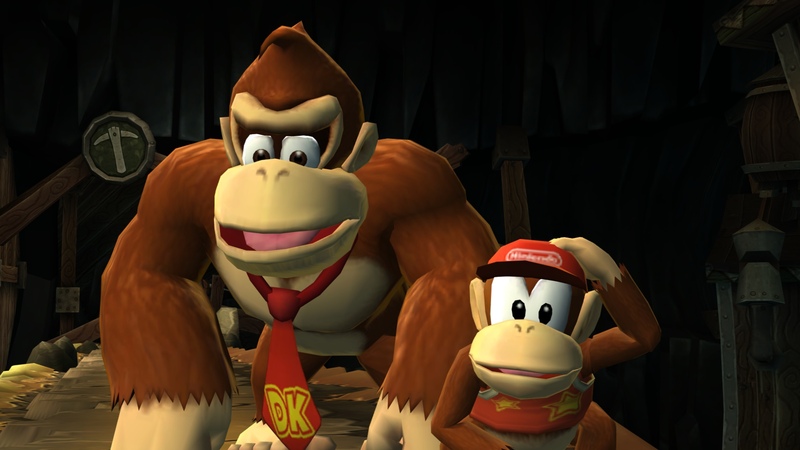 I remember playing the original Donkey Kong on the NES back in the early 90’s at my aunt’s. The game was basic – get to the top and save the damsel in distress. 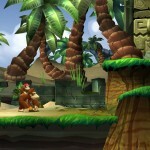 For a 5 year-old it was a little difficult but after plenty of practice I managed to beat Donkey Kong. 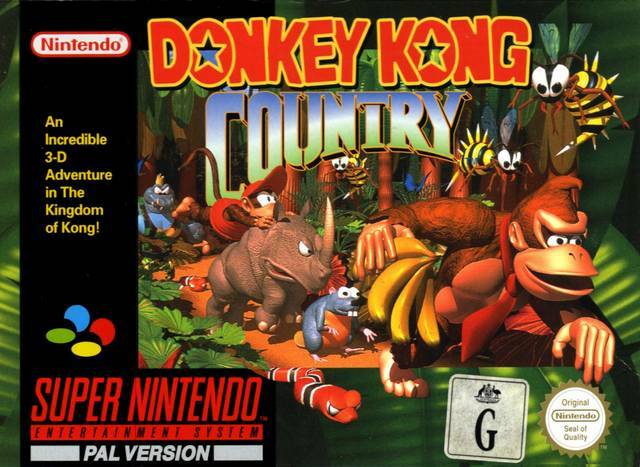 In 1994 a little known studio made a reboot back then for Donkey Kong and placed him in a proper side-scrolling plat-forming game very similar to Super Mario World & Yoshi’s Island, that studio was Rare. This was the must have game of that year. To entice customer’s even more then even included a CD with a songs that inspired the game. The CD had the Boo Radley’s and Oasis on it if I remember correctly – oh and Primal Scream. Anyhow onto the game; the game at the time was something we’d never seen it was as close as the SNES could get to performing 3D graphics on a 2D background, but nonetheless Rare Pulled this off. The game was fast and surprisingly played quite smooth. The gameplay aspects were all there, RARE even took a leaf out of Super Mario World and included secret areas that were placed in all the levels for you to find; In the later levels Rare made these quite challenging to keep the average gamer from finishing the game too quickly. Granted it was a couple of years ago that this game came out but this is the purpose of my website & blog to talk about the games that may have passed you by that are worth taking a look at. 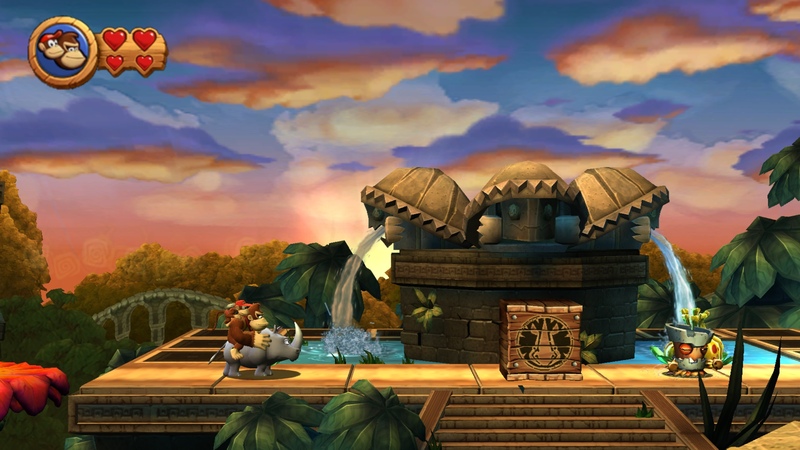 Donkey Kong Country Returns was released back in December 2010 and the developers have done a great job of capturing the elements that were recognisable from the SNES version into the Wii’s release. 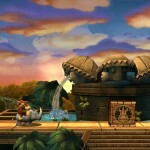 The first level is full of recognisable feats such as the way DK breaks out from his Tree-Hut to begin his adventure. 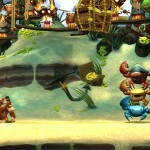 Underneath the Tree-hut is where you would have found DK’s banana hoard if it wasn’t for those Tiki’s. 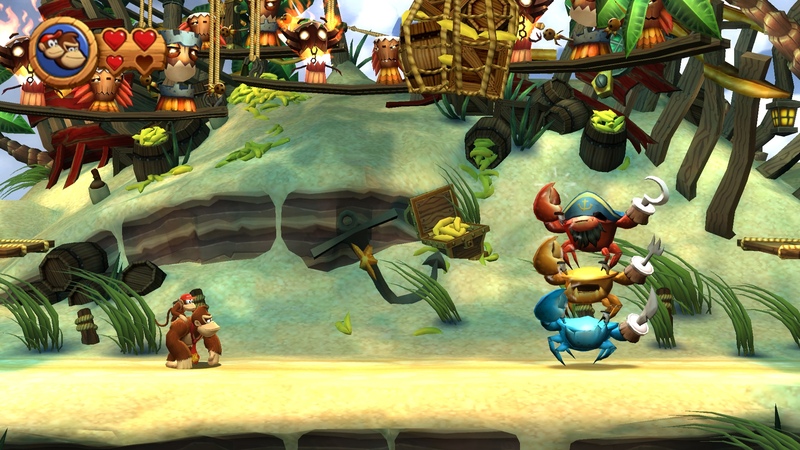 The Tiki’s are this games antagonist (replacing the Kremlings from previous games) who have stolen DK’s banana’s and that’s as much of a plot as you need for this game; so DK sets out on quest to get them back. 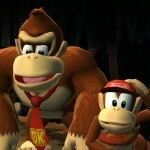 In the reboot the developers have chosen to take advantage of the Wiimote by making you shake this to perform different actions for DK and Diddy. 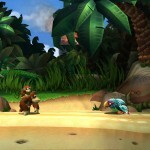 If you shake the Wiimote and Nunchuck whilst running you will perform a forward roll; having Diddy in your party means that you can role continuously bashing into enemies providing you can navigate the obstacles in the game world. 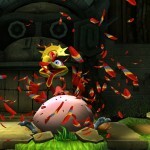 As well as being able to roll speedily across the levels, DK’s hand-slap has made a return. 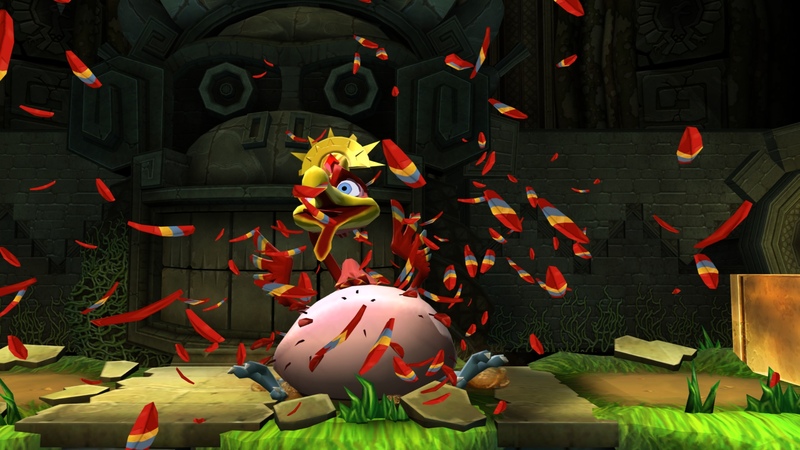 The hand-slap can be used to smash objects and also give you access to some of the bonus levels found throughout. 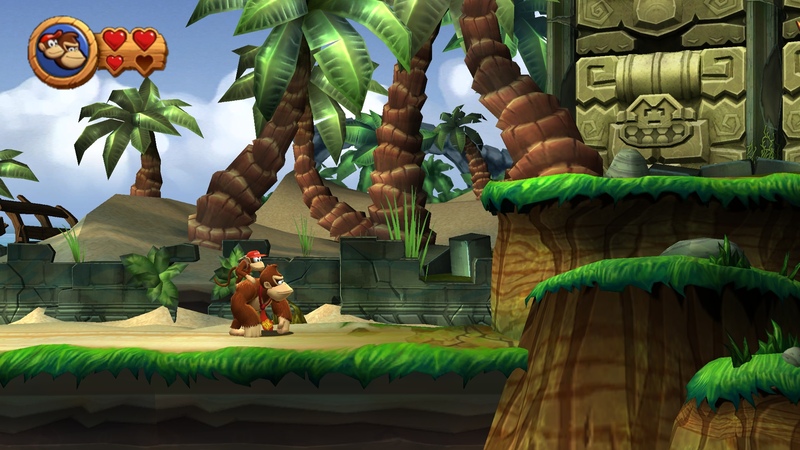 If you find Diddy Kong in the levels you can also gain access to his Jet-Pack feature will help keep you afloat when jumping across large gaps. To me this was a life saver and having this feature got me out of some sticky situations. 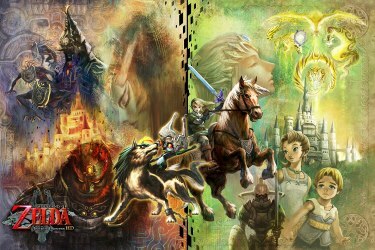 The developers have done a good job of bringing back all the memorable moments from the previous games into this installment. There were plenty of tracks in this game that I recognised from playing the SNES version, a nice little touch that for me reinforced that nostalgic feeling whilst playing this game. 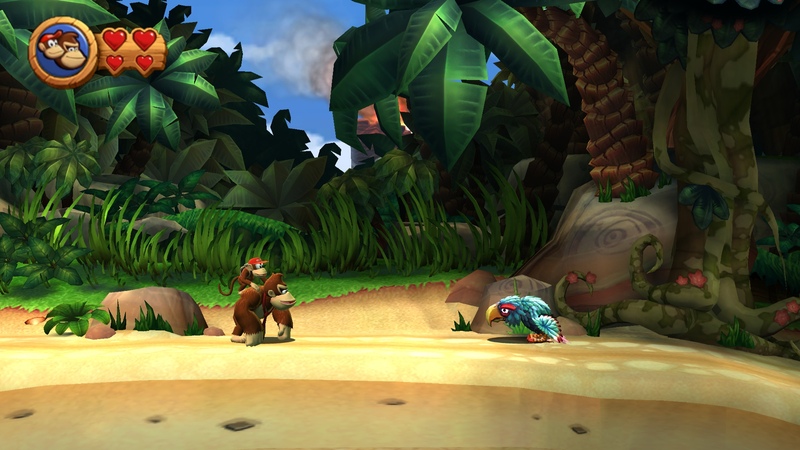 In this version of the game the cut-scenes are done in a humorous manner which managed to get a laugh out of me and keep the tone of the game light-hearted (most notably when the Tiki’s tried hypnotizing DK and don’t succeed). 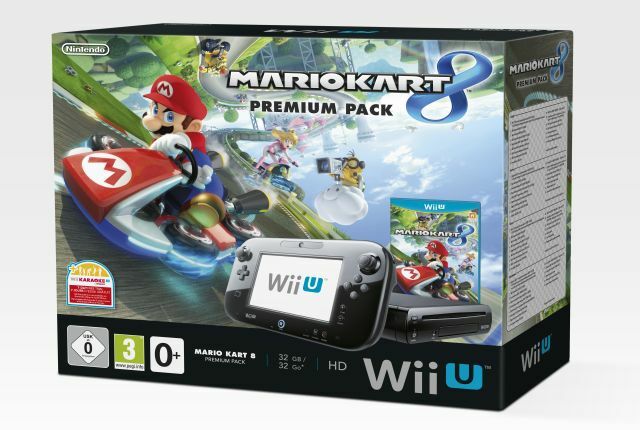 To increase the longevity of the game the developers have also included a Time Trial mode for you to beat the levels you have previously played in under a certain time. The TT mode can be quite challenging and if you’re a gamer that has to 100% complete a game then: then this is going to keep you occupied for quite a while. Overall the game very well polished and gives all the nods to the SNES original in the right places. 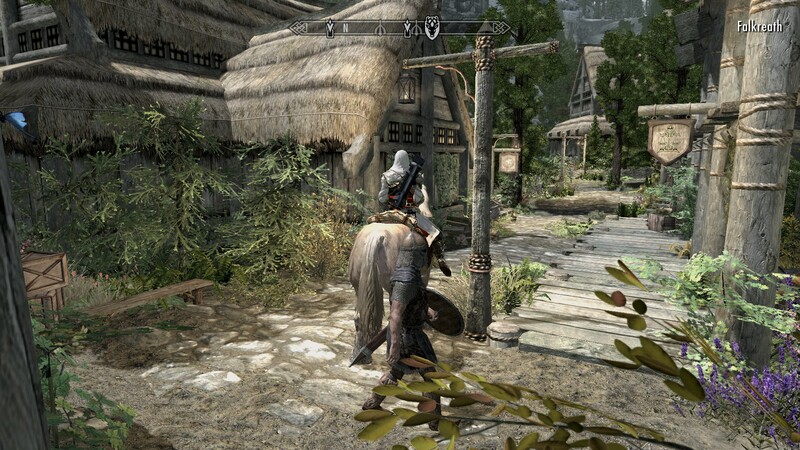 Although the levels are new and unique there is a feeling of familiarity about them and this nothing bad, it makes you want to explore further and further into the game. For me personally it was one of the few games in recent times that that I have genuinely had a lot of fun playing and recommend you pick this game up too so then you can see what’s so good about it.